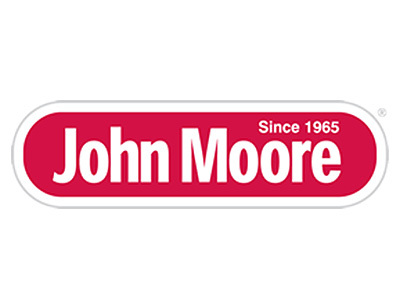 John Moore has been a family-owned and operated business since 1965. We understand the trust you place in our company when you invite us into your home. “Call John & Get Moore” is more than our company’s slogan; it’s our pledge to you. We’ll diagnosis your problem and explain everything from start to finish. All of our work is backed by the integrity of the John Moore name. Now home repairs can start earning you a vacation! With Moore Rewards, earn 1 point for every $2 you spend on any John Moore service. PLUS, refer friends and family and you can earn 1 point for every $5 that they spend. Moore Rewards points can be redeemed for future John Moore repairs or Southwest Airlines miles! • Guaranteed quality. If the problem returns, so will we. Call for details. “I have used other “big name” companies a few times, but as the saying goes, you get what you pay for. Thank you for being a consistent, quality company that never pushes the customer to take the most expensive route.” – Debbie D.
“I’ve used John Moore for over 30 years and will continue to do so. Water damage, electrical, A/C, pest, from major jobs to replacing a toilet seal. Always great service. Thank you.” – Jeremiah W.
“When I have problems I really do call John and really do get Moore.” – Joseph R.
“I’ve called on John Moore three times and each time and each time the service was top notch.” – Jim H.
“We never worry when John Moore does the work because it will be done right.” – Carol M.
“They did an amazing job installing my new electrical box. They kept me informed the entire time and were courteous and friendly. You get what you pay for and John Moore truly offers excellent service.” – Michelle H.
“The technician was extremely knowledgeable and courteous. He quickly identified our issue, fixed it and gave us more information for us to keep our plumbing problem-free. We have used John Moore for heating and AC issues and have been very pleased with their promptness and their high quality work. We can now add plumbing to our services from John Moore.” – Karen P.
“Our technician was amazing. He found the problem and offered several solutions. We chose the right option and he did a fantastic job!! Always have a great experience with John Moore Services!! I highly recommend them, and thank them for always treating us with the best of care!” – Shari G.
“Excellent service. Technician was committed to finish the job and finish it right regardless of challenges. Honored his quote as well despite it taking extra effort.” – Dwayne W.
“The technician was wonderful. He explained the problem and how it could be solved and why he needed to invoice us for the amount he did. Additionally, he provided instructions on how to prevent the problem in the future, and how to explain the problem to a plumber in the future.” – Daniel P.
“Technician did an amazing job. He treated my problem like his own family's. He was responsible swift, efficient, straightforward and detailed. Made sure all problems were solved from the very root, and missed nothing. I am very pleased with every single step of the process and would recommend John Moore to any friend or family.” – Lily Z.